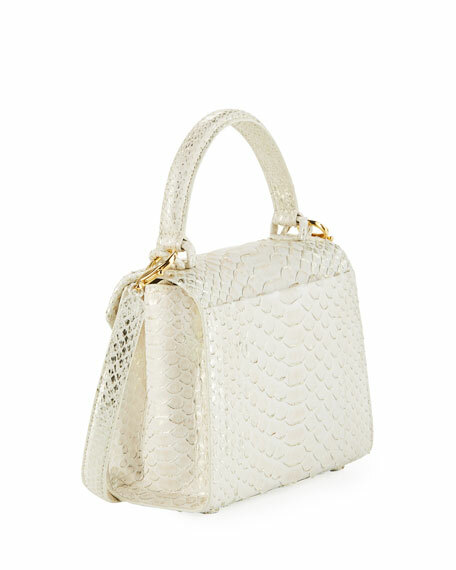 Nancy Gonzalez crossbody bag in python with golden hardware. Rolled top handle, 4" drop. 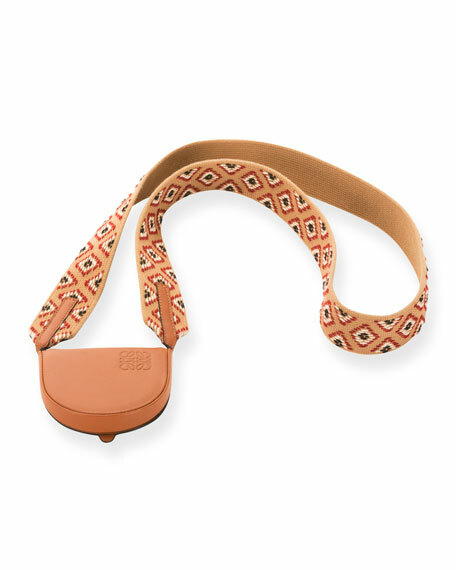 Removable shoulder strap, 23" drop. 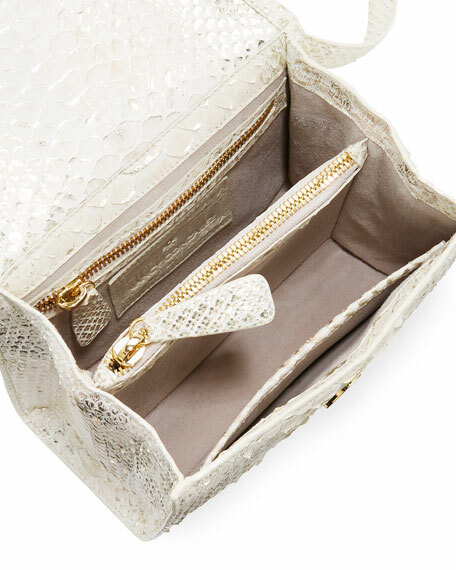 Interior, suede lining; center zip compartment; zip and slip pockets. 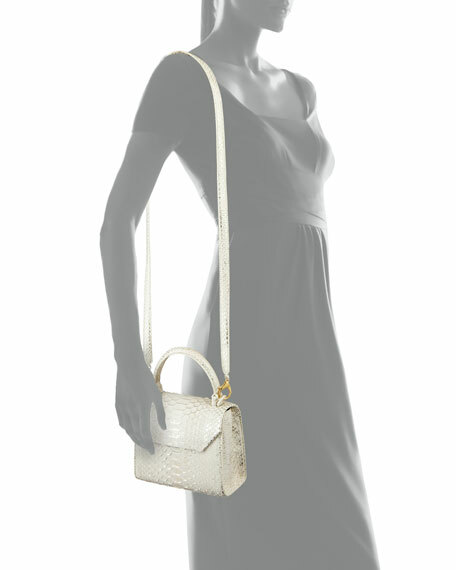 For in-store inquiries, use sku #2371662. 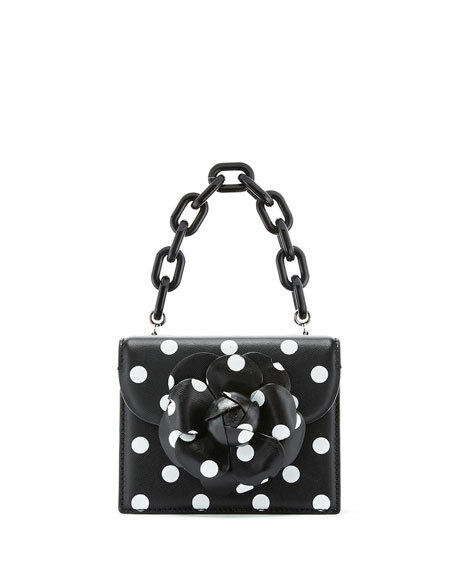 Oscar de la Renta crossbody bag in polka-dotted saffiano leather. 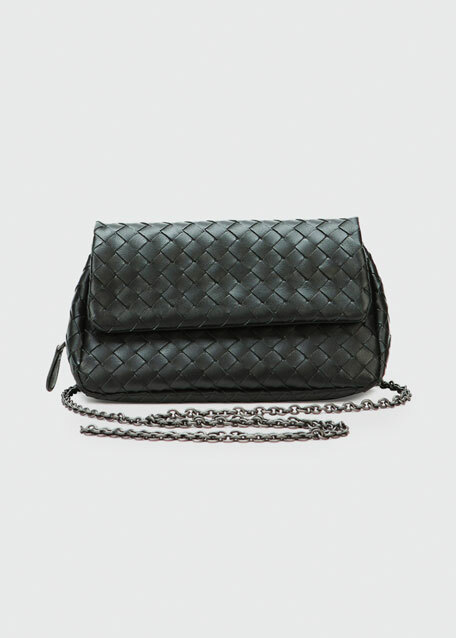 Chain shoulder strap. Flap top with flower appliqu; push-lock closure. Exterior, back slip pocket. Interior, suede lining. 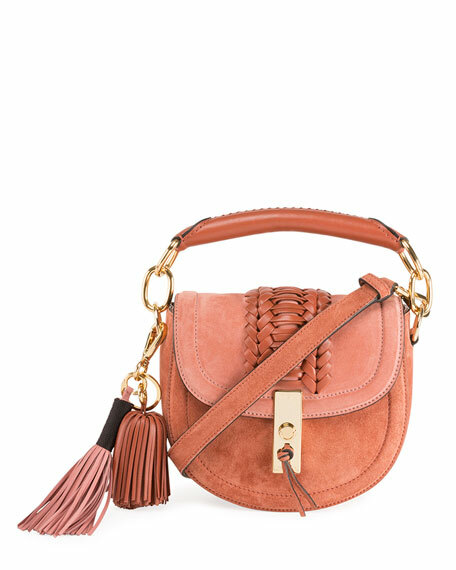 One slip pocket. "Tro" is made in Italy.